Prior to Laserfiche, the biggest cost and time-consuming challenges faced by Avis Fleet Services were the risk of missing documents from filing cabinets, duplicate copies of the same files among multiple departments and related frustrations that many companies face when utilizing hard copy filing systems. 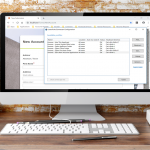 183 Rio users now manage files from a central Laserfiche repository and give both onsite and remote office staff access to documents with Web Access. All seven departments using Laserfiche have increased both productivity as well as the number of daily transactions processed without adding additional staff. For virtually every activity, Avis Fleet Services uses a custom Workflow activity integrated within its AS400 based Fleet Management System. The SDK then facilitates communication with the Avis Fleet Services Fleet Management System through Web Access. Documents are scanned in at a central location. Workflow routes the documents to various departments for processing. The metadata is verified against the Fleet Management System. Only key data is captured against a document, and the remainder of the metadata is retrieved. Once processed, Laserfiche archives the documents. Documents can be searched and filed based on information captured within the Fleet Management System, even if this information is not contained within the original scanned document. From the archive, users have read-only access to all documents and associated data. The Web Access client also ensures that all regional offices in remote areas can always access documents, giving them the ability to resolve enquiries more efficiently. The accounts staff creates invoices within the Oracle Financial System and sends them into Laserfiche for processing. Workflow automatically links all supporting documentation to the accounts receivable invoices. Customers can choose to receive the bundled documents and invoices electronically. 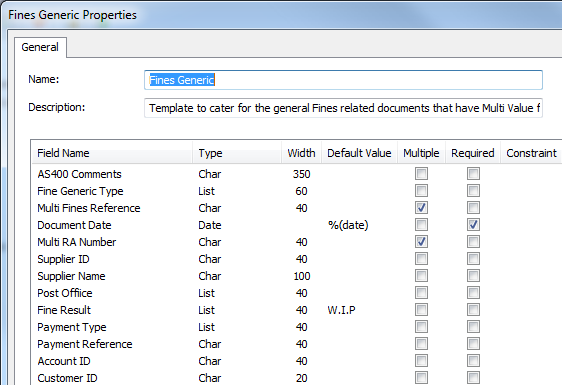 The Traffic Fines Management Department uses a reverse process in which the customer can upload relevant documents directly into Laserfiche for processing via Avis’ online customer portal. If the integration involves intricate workflows and processes, ensure that all hardware is well specified. Ensure that the SQL server does not run on a Virtual Server environment. For Workflow design and configuration, make use of Laserfiche’s Best Practice Guide to ensure efficient functionality. Maintain as much metadata as possible for field searches to ensure efficient searching. Create effective processes to check for the document quality and to verify data capture. Manage users’ expectations and describe how content management is efficient and benefits the entire company.